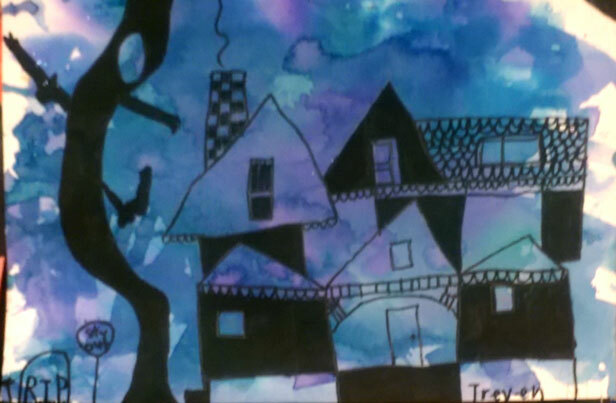 Third graders at South Summit Elementary School, under the guidance of BTSALP Visual Arts Specialist, Kathleen Briley and grade level teachers, spent a day exploring their Kamas, Utah community. The day started with a community walk that took students past interesting architectural landmarks. The third graders also visited businesses in the area and heard stories about the history of both the business and the buildings. 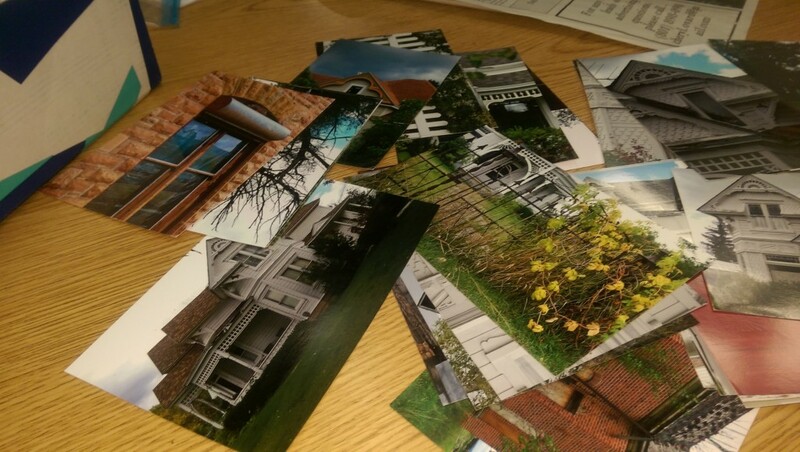 Photos of the “famous landmarks of Kamas” were taken along the way. Final stop was a local real estate firm where students learned the story of the Kamas Valley Monster! 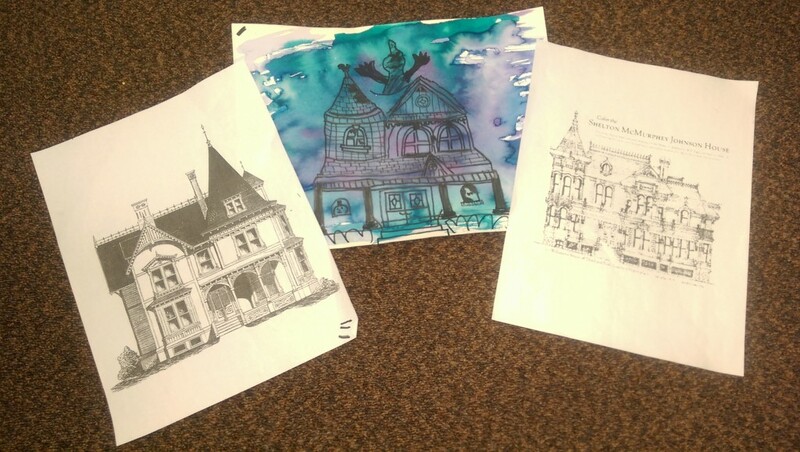 Back in the classroom, students started with wet on wet watercolor backgrounds in warm or cool colors and sketched these architectural images. But these sketches had a spooky twist! A “famous landmark of Kamas” now became . . . Haunted! 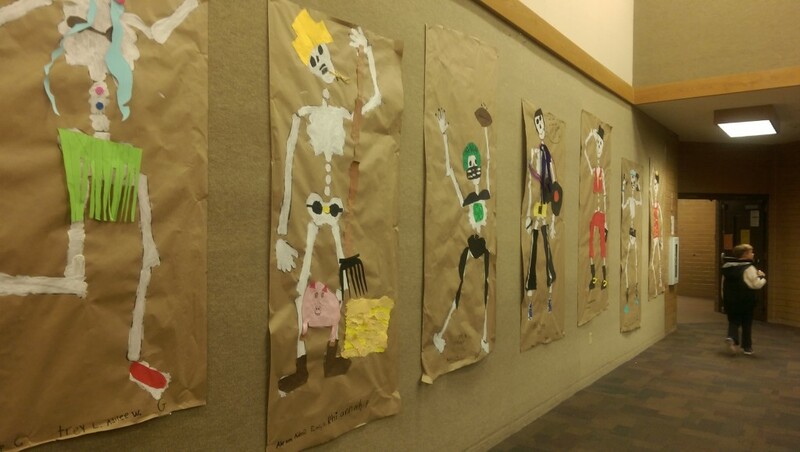 Third Grade Dual Immersion students created cooperative, larger than life skeletons for South Summit’s Dia de Muertos celebration. Each group worked on a plan incorporating ideas from each member. South Summit Elementary School is an outstanding example of an arts integration school. 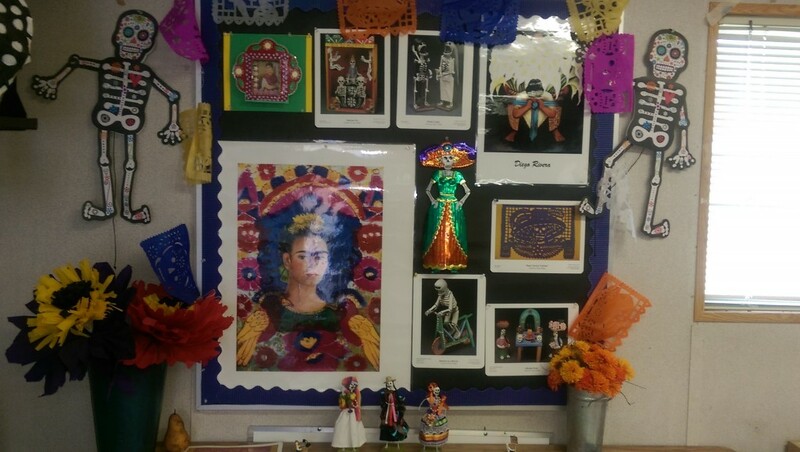 The entire school radiates color, warmth and a sense of community anchored by the arts. 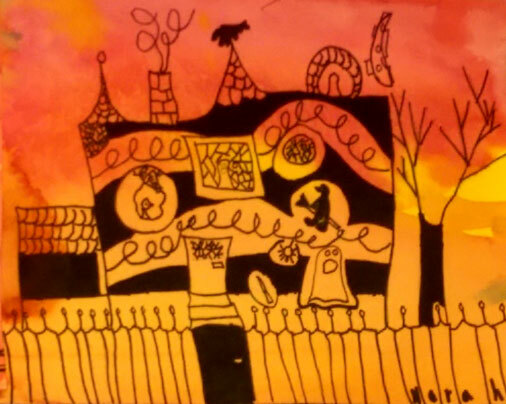 Learn more about South Summit’s visual arts program in the next BTSALP newsletter posting on Thursday, November 5th.